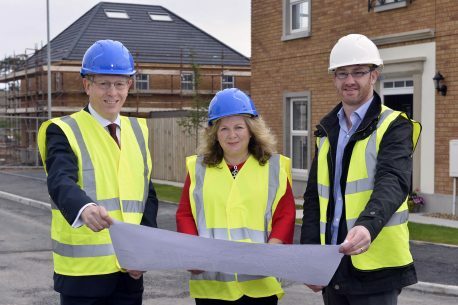 Photographed during Co-Ownership’s annual Shared Ownership Month in 2017 is Tim McCauley, Contracts Manager Windsor Developments Limited, the property developer behind the recent Hadlow development in Donaghadee; Glynis Hobson, Co-Ownership Housing Director of Customer Services and Mark Graham, Co-Ownership Housing Chief Executive. 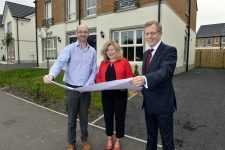 Photographed during Co-Ownership’s annual Shared Ownership Month in 2017 is Mark Graham, Co-Ownership Housing Chief Executive; Glynis Hobson, Co-Ownership Housing Director of Customer Services and Tim McCauley, Contracts Manager Windsor Developments Limited, the property developer behind the recent Hadlow development in Donaghadee. Mark Graham, Co-Ownership Housing Chief Executive. 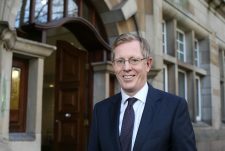 The number of households in Northern Ireland purchasing a home through Co-Ownership Housing increased by 15 percent in the last 12 months, new figures reveal today. More than 800 homes were purchased through Co-Ownership in the 2017/18 financial year. 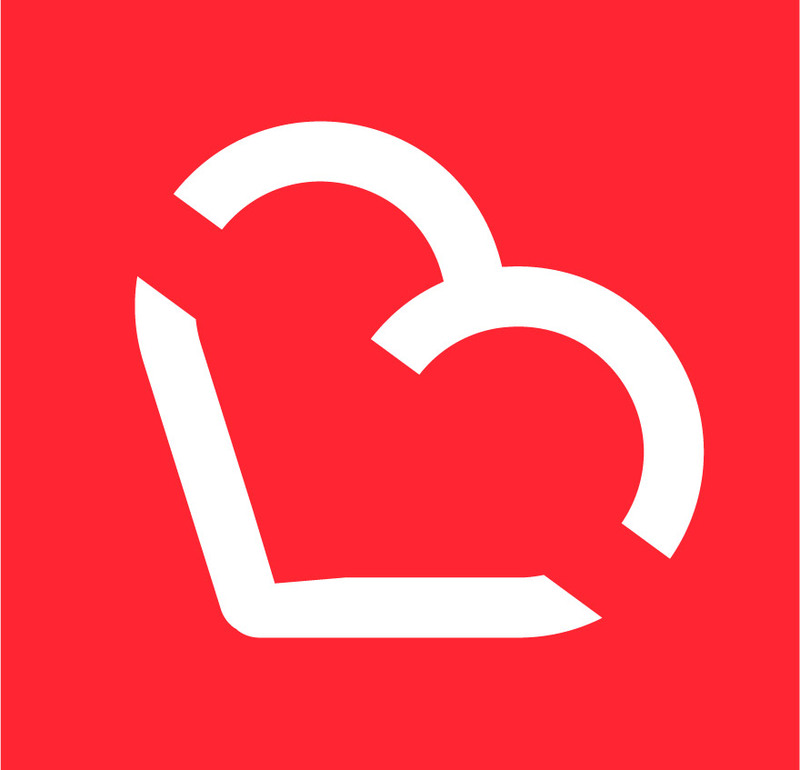 The not-for-profit organisation says that this, in part, reflects the fact potential homebuyers are increasingly struggling to save for a deposit. With Co-Ownership, prospective homeowners can purchase a share of their chosen property anywhere in Northern Ireland up to a maximum purchase price of £165,000, and they may not need a deposit, as some lenders accept the Co-Ownership portion for this purpose. Recent research Co-Ownership has carried out with potential first-time buyers has shown that 42% of 25 to 34-year-olds say that lack of a deposit is stopping them buying a home. “For this reason, we hope to help 900 families become home owners through Co-Ownership in 2018/19, enabling even more people to buy the home they want,” he continues. “We are also planning to launch a new digital customer portal this summer that will provide a more convenient service for customers and allow us to give a much quicker decision.” he adds. Co-ownership is regulated and part-funded by the Department for Communities (DfC). The current funding from DfC of £100m is to support the delivery of 2,800 shared ownership homes across NI over 4 financial years (2015/16 – 2018/19). Co-Ownership with support from the Department for Communities, has also introduced Rent-to-Own for people who aspire to buy a home, but perhaps aren’t yet ready. It allows people to choose a new build property anywhere in Northern Ireland up to the value of £165,000 and rent it for three years. After this, the tenant will receive a 25 percent rebate on their rental payments, along with a refund of their initial £2,500 down payment, to put towards a deposit to purchase that property. At present, 31 households are participating in the pilot and Co-Ownerships hopes to support a further 40 this financial year.